How much does Uber ride cost in Cote d'Ivoire? This is an estimated fare in Cote d'Ivoire. The actual fare might differ due to time of the day, tolls, works (available routes), different car companies in Cote d'Ivoire, error in collecting prices and other human or software error. How much does Uber car ride cost in Cote d'Ivoire ? Price of a Uber in Cote d'Ivoire: how much will my race cost ? The UBER concept is simple in Cote d'Ivoire: you order from your smartphone a kind of taxi, and it is the nearest free car that will be sent to you. The idea is to reduce wait times by focusing on proximity with the customer who places orders in Cote d'Ivoire. The flat rate offered during your reservation request on uber in Cote d'Ivoire remains calculated according to the time and the distance, integrating the dynamic pricing in force at the time of your reservation. It takes into account historical data from races and similar traffic conditions in Cote d'Ivoire. How much does a Uber car Typically cost in Cote d'Ivoire ? * - This is an estimated fare for Uber service in Cote d'Ivoire. Please contact us at contact@taxi-allo.com if any Uber prices changed in Cote d'Ivoire so we can verify and modify it. 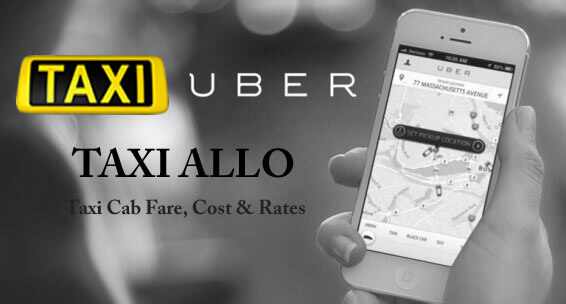 To help you choose, Taxi-Allo offers you this tool that allows to estimate the price of Uber in Cote d'Ivoire before departure. Good choice, and good road! The price is calculated according to the Uber scale in Cote d'Ivoire, according to the distance and the estimated time for the journey in normal traffic conditions. The Uber multiplier in Cote d'Ivoire chosen from the drop-down menu is applied to the base price, just as Uber does when the demand is high in Cote d'Ivoire.